Why is making a retirement budget so important? There are many factors that you may end up having no control over when it comes to retirement income, such as when you retire, your Social Security, and the rate of inflation. The one thing you CAN control is your personal spending. It seems as though many retirees throw the budget out the window when they finally have that retirement check coming in, and unwise or excessive spending can end up being a huge detriment if the retirement funds are not covering what is leaving your bank account. Others haven’t had to budget in many years and are used to living comfortably without much worry for the balance on their credit card. This can all change when you are suddenly on a fixed income. The wise course of action is to look at your spending habits now and see where you can start adjusting and adapting to make a smooth transition into retired life. This type of planning is not difficult and can be started with only a few hours of time, but it’s easy to put off. Why not start working on it today? Use the information on the items above to see where your money has been going and use the highlighters to group expenses into categories. Above referenced article gives 5 steps to using this information to create your retirement budget. STEP 1 – Make a list of all your fixed or required monthly obligations. Essentials: This includes expenses that cover food, clothing, housing, transportation and health care. Non-essential monthly obligations: Although we all may think of cable TV as an essential, it is not. Non-essentials are things like cable, cell phone, gym memberships, subscriptions and other items you receive bills for. Required non-monthly expenses: Items like property taxes, insurance premiums, auto registration and home warranties may come up once a year. Be sure to take these periodic expenses and calculate their cost on a monthly basis and include it in your retirement budget. STEP 2 – Research your costs for health care before and after retirement. Get estimates from your employer, from AARP sponsored health plans, for from an independent health insurance agent (Cornerstone has over 75 Licensed Representatives across the Nation) so you have accurate idea of these costs by expected retirement age. Account for these costs on your after-retirement budget. 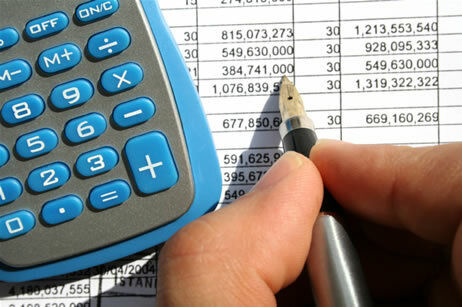 STEP 3 – List all your flexible or optional expenses. This all the fun stuff, like travel, hobbies, sports and entertainment. STEP 4 – Write down some thoughts on how you want to spend your time in retirement. Ask your spouse to do this also. Think about the things you want to be able to spend money on in retirement. Begin to think about changes you may be willing to make that would reallocate money from items that are less important to items that are more important. Total all your fixed expenses separately. Divide your fixed expenses into your total expenses. How much of your retirement income will go toward fixed expenses? Does this align with your thoughts in Step 4 on how you want to spend your time in retirement? Cornerstone Representatives are trained to help you make the most of your retirement in a number of different ways. Are you possibly paying too much for your health or life insurance as mentioned in step 2? Are your investments giving you all the earnings they could? Our agents are available, free of charge to answer these types of questions for you. Please don’t hesitate to contact us if you would like help in planning your retirement budget!